The UMTS Master model MT8220A is a handheld Node B analyzer designed to aid RF engineers and technicians during installation, deployment and maintenance of W-CDMA/HSDPA Node B equipment. The MT8220A combines the functionality of a transmitter analyzer (W-CDMA/HSDPA, GSM/GPRS/EDGE), channel scanner interference analyzer, and the field proven Spectrum Master (MS2721A) spectrum analyzer into one lightweight, handheld, test tool weighing less than 6.5 lbs (2.9 kgs). The UMTS Master W-CDMA/HSDPA signal analyzer mode frequency range is 824-894 MHz, 1710-2170 MHz and 2300-2700 MHz. The UMTS Master GSM/GPRS/EDGE signal analyzer mode frequency range is 380-400 MHz, 410-430 MHz, 450-468 MHz, 478-496 MHz, 698-746 MHz, 747-792 MHz, 806-866 MHz, 824-894 MHz, 890-960 MHz, 880-960 MHz, 876-960 MHz, 870-921 MHz and 1710-1990 MHz. The spectrum analyzer mode channel scanner mode, interference analyzer mode, frequency range is a continuous 100 kHz to 7.1 GHz. The UMTS Master transmitter measurement capabilities (W-CDMA/HSDPA, GSM/GPRS/EDGE)include RF measurements and demodulator measurements to test base station performance by connecting to the base station or using an antenna to capture signals over the air. Several smart button measurements are built into the spectrum analyzer mode to save setup time and errors. The UMTS Master GPS option provides two advantages: location information and enhanced frequency accuracy. PC data analysis software, Master Software Tools, enables assessment of system trends, problems, and performance in addition to professional report generation. Custom software that plots data from both GSM channel power and UMTS/W-CDMA P-CPICH (Power in the Primary Common Pilot Channel) measurements for EMI analysis. OTA displays six scrambling codes in a bar graph format. For each scrambling code, CPICH in dBm, Ec/Io in dB, Ec in dBm, and pilot dominance in dB are displayed in table format. The user will also see OTA total power in dBm. 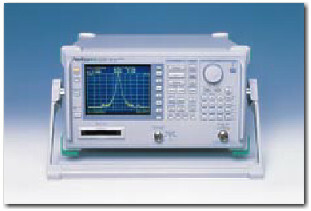 RF measurements are used to measure the transmitted signal strength and signal shape of the selected Node B transmitter. For the technician?s convenience, the MT8220/44 RF measurement option includes Band Spectrum, Channel Spectrum, Spectral Emission Mask, ACLR and RF Summary screens. The MT8220A UMTS Master with Option 45 demodulates WCDMA signals and displays detailed measurements for evaluating transmitter modulation performance using Code Domain Power (CDP), Codogram, Modulation Summary and Pass/Fail screens.